The following article was submitted for publication on the LongmeadowBuzz blog by newly appointed Longmeadow Tree Warden, David Marinelli. The Department of Public Works, in conjunction with it’s Tree Warden and the Longmeadow Tree Committee is engaging in a program of public shade tree renewal. There are approximately 14,000 public shade trees lining Longmeadow’s streets, and there are many more trees on publicly owned lands, including parks, schools and conservation land. These trees require monitoring for pests, disease and decay. In some cases, ailing trees can be preserved with appropriate pruning. In other cases, removal and replacement is the better option. 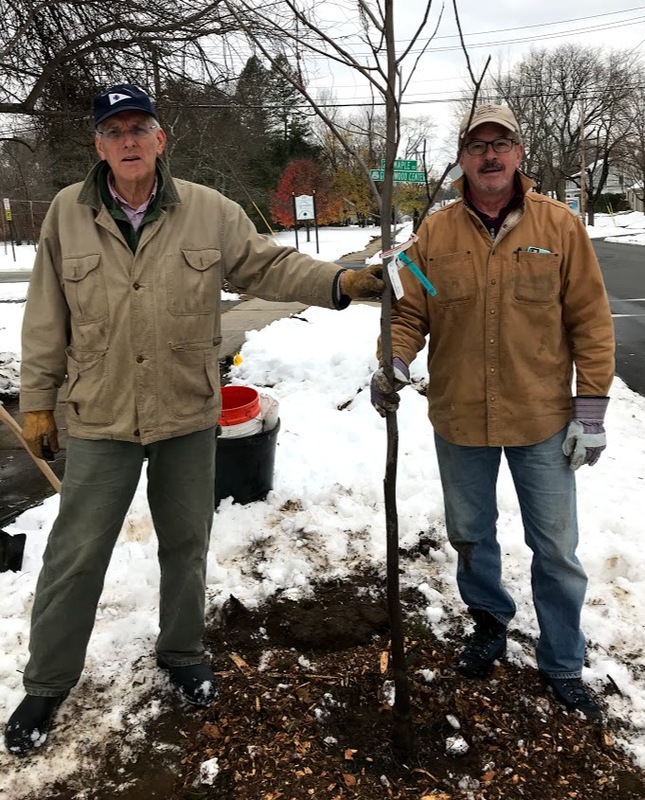 These decisions are guided by the Town’s contracted certified arborist. Hazardous limbs and trees are removed as soon as possible after identification. Non-hazardous living trees which cannot be preserved are removed only after the legally required notice and hearing process. 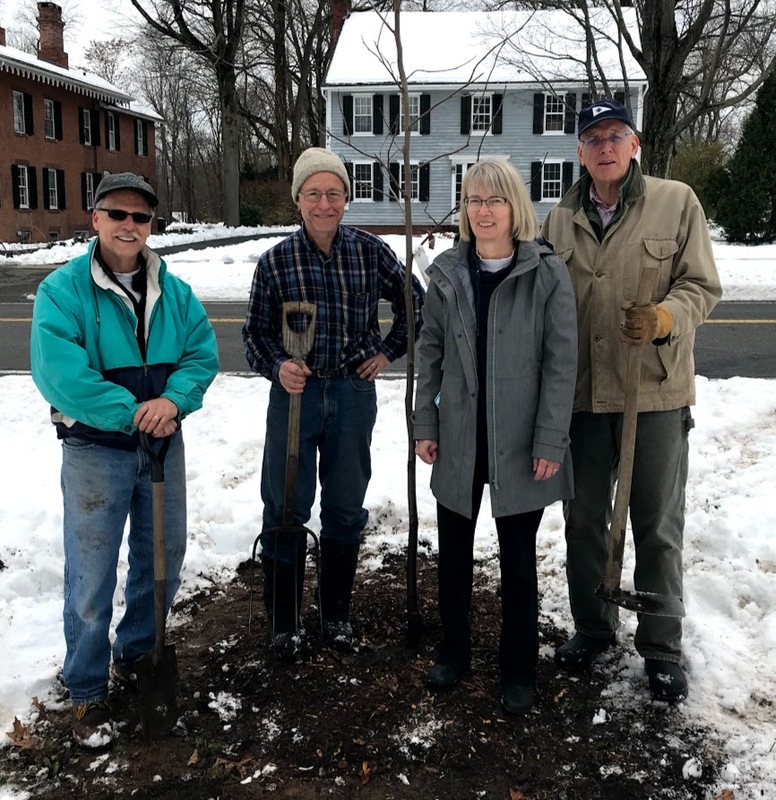 Renewal is being funded by the DPW’s forestry budget, a matching grant from the Massachusetts Department of Conservation and Recreation, and a Community Preservation Act grant, the Phase II Bliss Park Open-Space and Recreation Project. 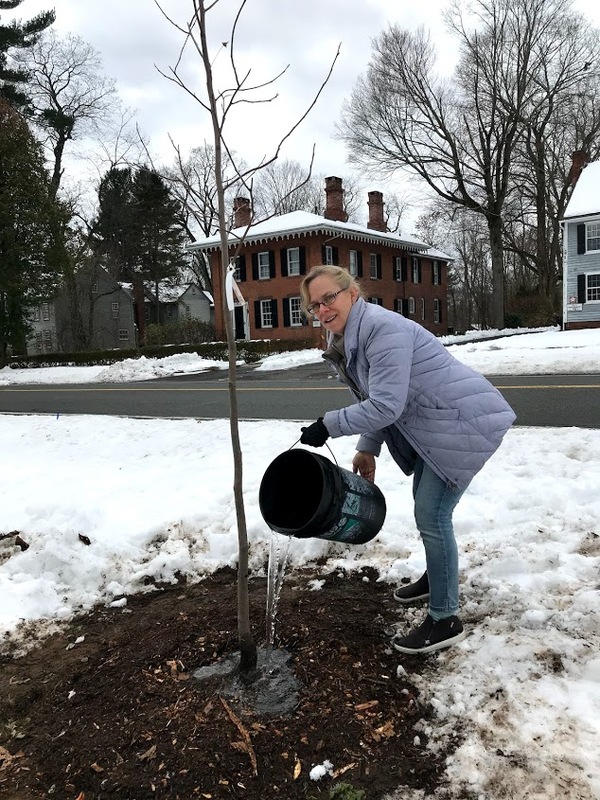 Nearly 60 trees of 21 different species have been purchased and are being installed in various locations, including Bliss Park, the Longmeadow Green, several traffic islands and numerous tree belts where shade trees were previously removed. Fifteen of the 21 species are native to North America. Native trees provide great benefits to wildlife by providing forage and nesting sites. Non-native and hybrid species provide some protection from pests and disease. Increased diversity is helpful in minimizing the effects of introduced pests and climate change. they installed on Maple Road near the entrance to Greenwood Park.